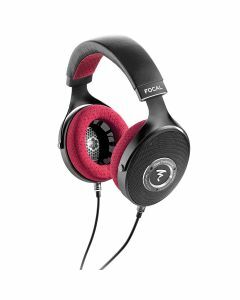 Focal's Clear Pro Open-Back headphone has been meticulously designed with studio mixing and mastering applications in mind. Focal's Clear Pro Open-Back headphone has been meticulously designed with studio mixing and mastering applications in mind. The M-profile aluminium/magnesium dome driver with its new copper coil design provides dynamic insight across the entire audio spectrum whilst weilding a level of control over the lower end. Clear Pro features a leather and perforated microfibre headband along with 20mm memory foam ear cushions for almost intimidating levels of comfort over longer mixing periods. Thanks to their low impedance of 55 Ohms, the Clear Professionals can also be used with portable audio devices and laptops when travelling.